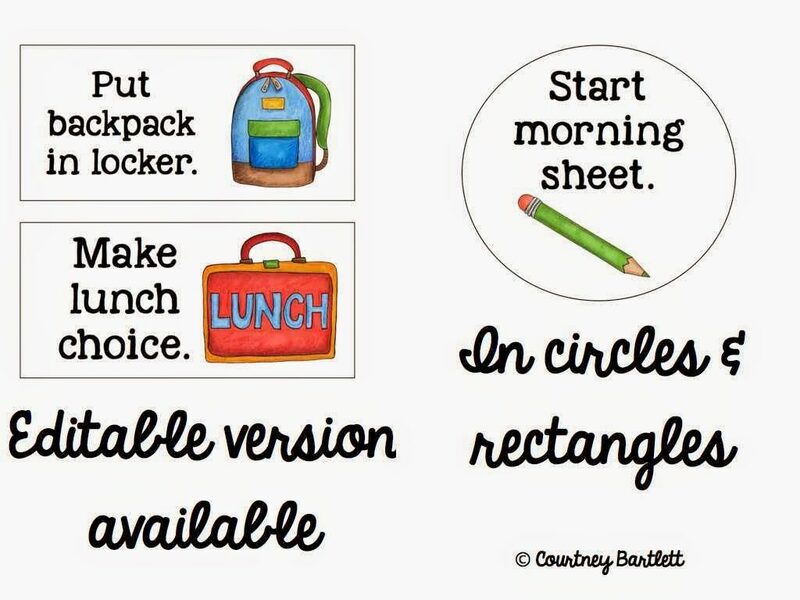 Now that the beginning of the school year is approaching, I thought I would focus on those all-important morning routines. 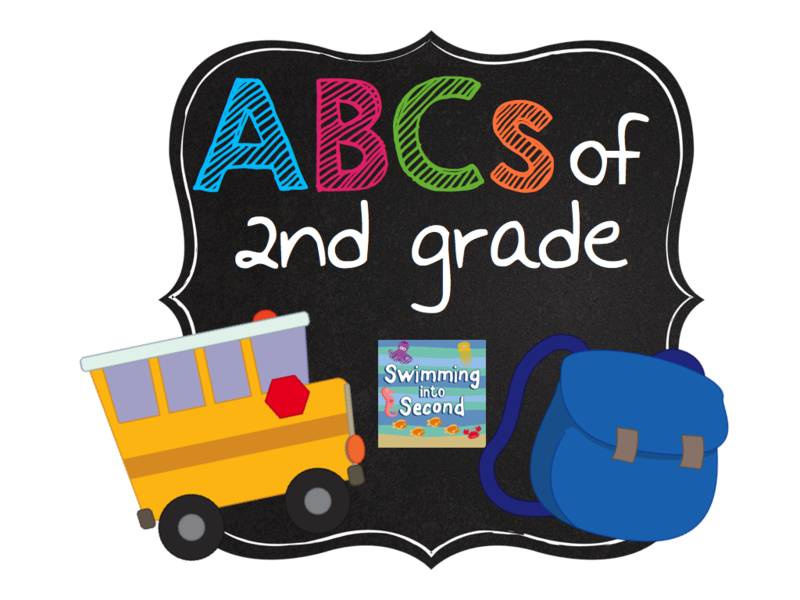 A few weeks ago, I posted about dismissal routines and how important those are. I think morning routines are even more important. 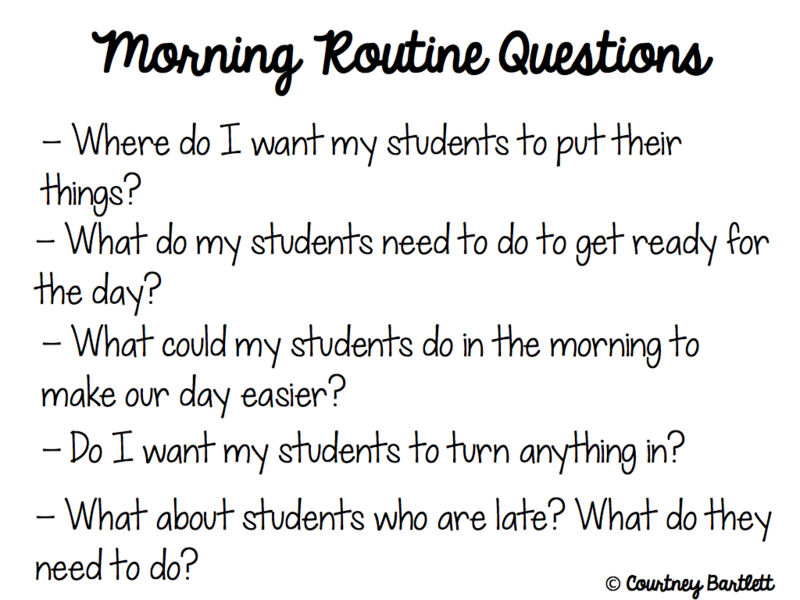 Here are some questions to consider when you think about what you want your students to do when they enter your classroom in the morning. 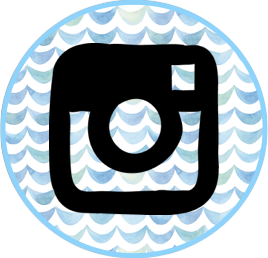 Click on the image to download this file. 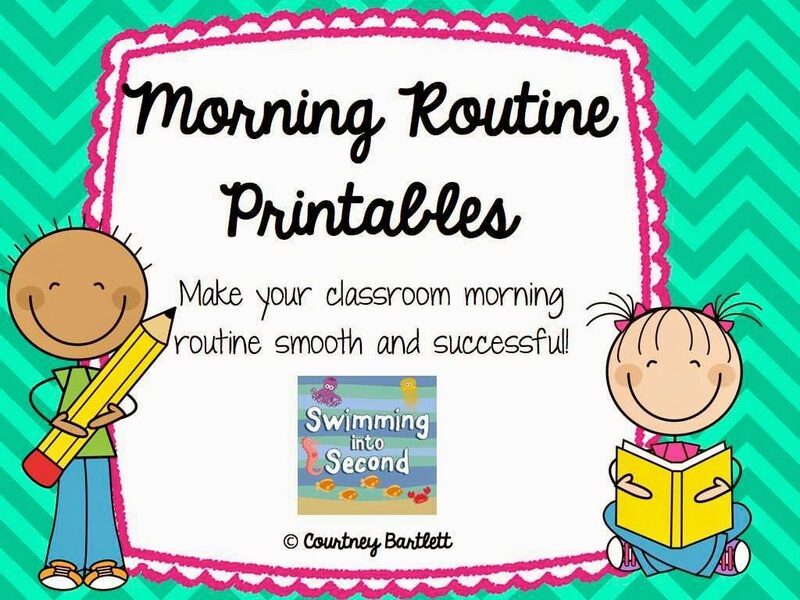 At the beginning of the year, I always meet my students in the hallway and lead them through the morning routines. I have them posted on the board and we just go through them one by one. This is what my morning routine visual looked like. It was hanging on the whiteboard nearest the door so students could see it as they came in the room. 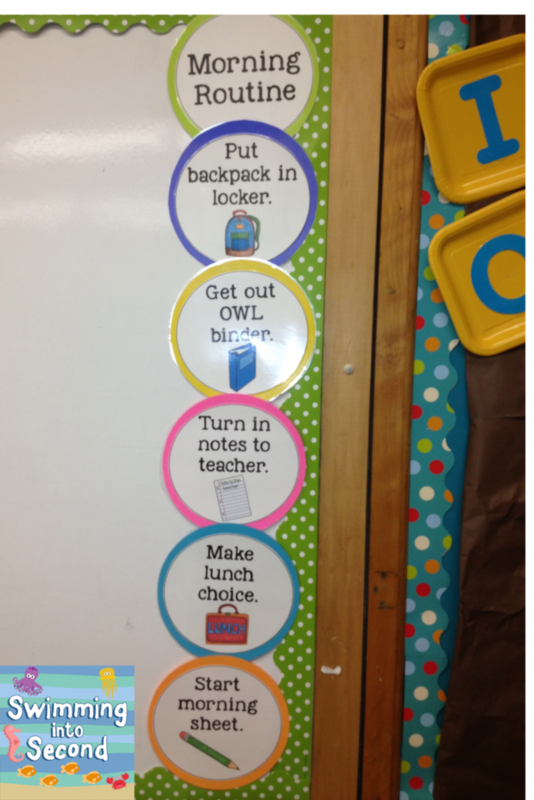 This really helped the students become more independent and that is crucial in 2nd grade. 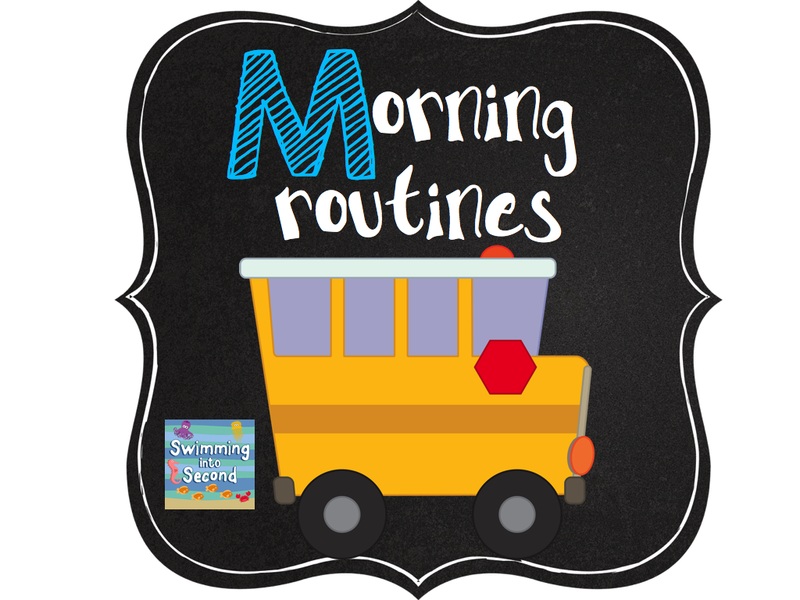 What’s something that you have your kiddos do each morning when they enter your classroom? 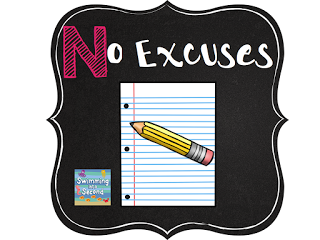 My next post in this series for the No Excuses board. 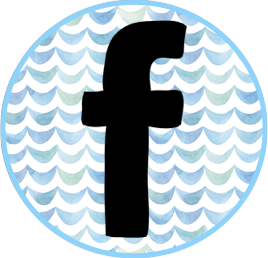 Stop by to check it out. …sharpen two pencils and get two books to read for the day. It makes for less "getting up" and distractions. I always have a morning message on the white board that reminds that to sharpen 2 pencils and get new books for their books boxes – just like Kathy. 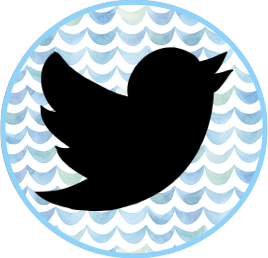 The message also tells the date; times of specials;…After the kids do all the necessary tasks, I give them until the "real" bell to chat and check in with each other. I know that I don't want to sit right down and work when I get to school so I think it's important to give the kids a few minutes to chat – as long as it doesn't get out of control. Susan K, I like your idea of letting them socialize when they arrive. I read another blog that suggested setting out some board games for more directed conversation. I wasn't brave enough to try it, but I might this year with a smaller class (last year I had 30). Food for thought though! I usually set out some science books, or leveled readers for our program (if I hadn't made time for them that week), some written work, or a word search. Most of the time something "academic review type" and a "fun" item like Scholastic News. My class schedule (on laminated magnetic cards) was always displayed. The first half of the year, I'd write out or project what they needed for the beginning of the day. Okay. so I’m seeing the comments about having scholars get two new books for the day. I don’t know if that is feasible in a class of 28. I’m used to having scholar choose 5 books for the week… oh wait, I feel a blog post coming on…Thanks!! !